Scientific and educational units that are conducting research in the field of human movement analysis, in particular those developing modern methods of assessing the progress of neurodegenerative diseases based on a digital analysis of patient’s motor dysfunctions that require an advanced e-health monitoring system. One of the characteristic features of neurological disease is a correlation between the degree of motor function disorders (slowness of movement, difficulty in performing precise movements, tremors) and the severity of the disease. Research units have been looking for a long time for facilitations for diagnosing and monitoring the effectiveness of therapy. The project’s goal was to create a web-based e-health monitoring system that through using modern 3D cameras would allow a touchless analysis of patient’s upper limb movements. Therefore it would be possible to perform an objective assessment of the patient’s motor dysfunction, together with a quantitative description of each symptom. The e-health monitoring system was developed using HTML5 and AngularJS technologies, thus can be run in any web browser on any computer. During the project we also developed specialized algorithms for data analysis based on digital signals. 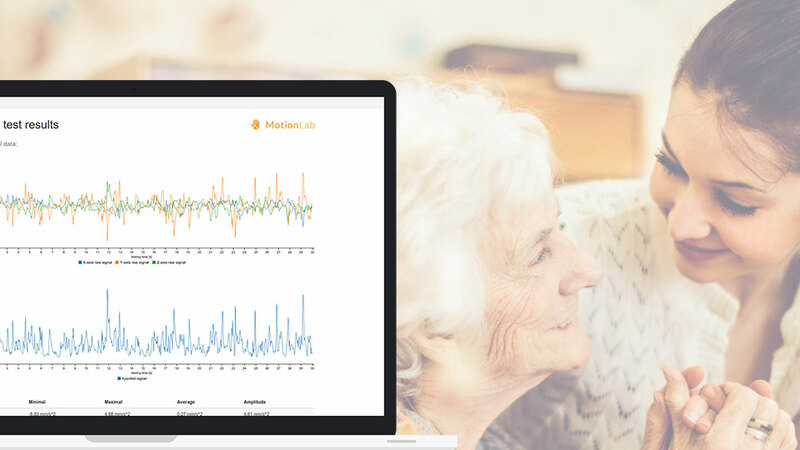 A result of our work is a prototype of a Web application that supports modern method of touchless evaluation of a patient’s motion. This system, after conducting the required tests, has a significant chance to replace the currently used method that records movement using accelerometers technique. Preliminary reviews clearly show that this solution eliminates many of the old technique’s drawbacks, such as the need to disinfect the sensor after each test or the non-zero mass of the sensor and communication cables that are placed on the patient’s palm. Sensinum is a Polish software house that provides the highest quality software development services to companies, marketing agencies and teams. Should you hire Sensinum as a subcontractor or cooperate with them on your own project, be sure to get fast and effective solutions brought to you by experienced developers. You want to know what can we offer? Contact us and consult your software idea for free.